1. Моисеев В.С., Моисеев С.В., Кобалава Ж.Д. Болезни сердца: Руководство для врачей. 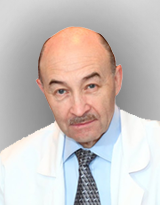 М.: Медицинское ин- формационное агентство, 2008: 528:ил./225–227. Moiseev V.S., Moiseev S.V., Kobalava Zh.D. Heart de- sease: Guide for physicians. M.: Medical News Agency, 2008: 528:ill./225–227. 2. J Malcolm O.A., Salim Yusuf, Young J., Mathew J., John- stone D., Avezum A., Lonn E., Pogue J. and Bosch J. Pre- vention of Heart Failure in Patients in the Heart Outco- mes Prevention Evalution (HOPE) Study // Circulation. 2003; 107: 1284–1290. 3. Бокерия Л.А., Шаталов К.В., Свободов А.А. Системы вспомогательного и заместительного кровообраще- ния. М.: Изд-во НЦССХ им. А.Н. Бакулева РАМН, 2000: 14–17, 43–65. 4. Bokerija L.A., Shatalov K.V., Svobodov A.A. Circulatory support and substitution systems. M.: Publishing house SCCS of the A.N. Bakuleva Russian Academy of Medi- cal Sciences, 2000: 14–17, 43–65. 5. Anderson H., Steimle C., Shapiro M., Delius R., Chap- man R., Hirschl R., Bartlett R. Extracorporeal life sup- port for adult cardiorespiratory failure. Surgery.1993; 114: 161–173. 6. ELSO General Guidelines for Cardiopulmonary Extra- corporeal Life Support (Extracorporeal Life Support Or- ganization), April, 2009. 7. Kolla S., Lee W.A., Hirsch R., Bartlett R. Extracorpo- real life support for cardiovascular support in adults // ASAIO J. 1996; 42: M. 809–819. 8. Аверина Т.Б., Самуилова Д.Ш. Что необходимо знать кардиологу об искусственном кровообращении? // Креативная кардиология. 2007; 1–2. 9. Averina T.B., Samuilova D.Sh. What you should know about the cardiologist extracorporeal circulation? // Creative cardiology. 2007; 1–2. 10. Bartlett R.H., Gazzaniga A.B., Jefferies M.R. Extracor- poreal membrane oxygenation (ECMO) cardiopulmo- nary support in infancy // Trans. Am. Soc. Artif. Intern. Organs. 1976; 22: 80–93. 11. J. Donald Hill, Thomas G. O’Brien, James J. Murray, Leon Dontigny, Bramson M.L., Osborn J.J. and Gerbo- de F. Prolonged Extracorporeal oxygenation for acute post-traumatic respiratory failure (shock-lung syndro- me): Use of Bramson Membrane Lung // N. Engl. J. Med. 1972; 286: 629–634. 12. Morales D.L.S., Katharine A. Catanese, David N. Hel- man, Mathew R. Williams, Alan Weinberg, Daniel J. Goldstein, Eric A. Rose, Mehmet C. Oz. Six year experi- ence of caring for forty-four patients with left ventricu- lar assist device at home: safe, economical, necessary // J. Thorac. Cardiovasc. Surg. 2000; 119: 251. 13. Matsumiya G., Saitoh S., Sawa Y. Extracorporeal Assist Circulation for Heart Failure. Division of Cardiovascular Surgery, Department of Surgery, Osaka University Gra- duate School of Medicine, Suita, Japan, 2009. 14. Chung J.C., Tsai P.R., Chou N.K., Chi N.H., Wang S.S., Ko W.J. Extracorporeal membrane oxygenation bridge to adult heart transplantation // Clin. Transplant. 2010 May- Jun; 24 (3): 75–80. 15. Formicaa F., Avallib L., Colagrandea L., Ferroa O., Grecob G., Maggionib E. and Paolinia G. Extracor- poreal membrane oxygenation to support adult pati- ents with cardiac failure: predictive factors of 30-day mortality // CardioVasc Thorac Surg. 2010; 10 (5): 721–726. 16. Pagani F.D., Lynch W., Swaniker F., Dyke D.B., Bart- lett R., Koelling T., Moscucci M., Deeb G.M., Bolling S., Monaghan H. and Aaronson K.D. A Strategy to Opti- mize Survival and Resource Utilization Extracorporeal Life Support to Left Ventricular Assist Device Bridge to Heart Transplant // Circulation. 1999.